Do You Know About IRS Required Filings for Homeschool Groups? Homeschool leaders frequently wonder, “Is my group supposed to be paying taxes to the IRS?” They ask if there is anything they should be reporting to the IRS, if so what and when. 1. Your homeschool group opens a checking account and needs a tax identification number. Usually, the first contact a homeschool organization has with the IRS is getting an Employer Identification Number (EIN). Most banks now request an EIN when a group opens a checking account. An EIN is similar to a Social Security Number for a business or nonprofit organization. They are available from the IRS at no charge at www.IRS.gov. Search for Form SS-4, the application for an EIN. 2. Your homeschool group pays a worker. Your worker may be an independent contractor or an employee. Either way, there are forms to file with the IRS at the end of the calendar year (typically a 1099MISC or W-2, respectively). Additionally, there are employer taxes, such as Social Security or Medicare taxes, to pay in addition to employee wages. My books Paying Workers in a Homeschool Organization and Money Management in a Homeschool Organization will walk you through the details of hiring and paying workers. 3. Your group makes money from fund raisers, selling T-shirts and other merchandise, or selling advertising on your website. Homeschool groups often make money from activities not related to homeschooling. The IRS calls income from these activities “unrelated business income (UBI)” and will tax the profit from these activities. Usually homeschool groups avoid the UBI tax by using one of the IRS exemptions which include using all volunteer labor, selling donated merchandise or having unrelated business income of less than $1,000 annually. 4. Your homeschool co-op brings in income of more than $5,000 in a year. If your co-op’s gross revenues are more than $5,000 a year, your organization should file an application (Form 1023 or the new, shorter Form 1023-EZ) with the IRS for 501(c)(3) tax exempt status. Approval of tax exempt status by the IRS means that your co-op will not pay income tax on its financial surplus. Your organization is also eligible to receive tax deductible donations and may participate in fundraisers only open to 501(c)(3) organizations, such as Box Tops for Education. If your organization’s gross revenues are under $5,000 a year, you are granted an exception from filing the application paperwork for 501(c)(3) status. You can “self-declare” your tax exempt status without applying. But you will still have annual reporting requirements, the Form 990N (see below). 5. Your homeschool support group wishes to avoid taxes on their surplus. If your homeschool organization is a support group, then you may be eligible for tax exempt status as a 501(c)(7) social club with the IRS. Social clubs can “self-declare” tax exempt status but some file an application (Form 1024) with the IRS. Read more about eligibility for 501(c)(7) social club status at HomeschoolCPA.com/SocialClub. Even if you self-declare tax exempt status for your support group, the IRS still requires an annual report (see below). As of 2006, the IRS requires all nonprofit organizations (except churches) to begin filing an annual information return called a Form 990/990EZ or 990N, even if they have not yet applied for tax exempt status or are eligible to self-declare tax exempt status. The short, online Form 990N is for nonprofit organizations with annual gross revenues under $50,000. It is a very simple online form with only six questions. No financial information is given. The Form 990N is filed online at Epostcard.form990.org and is due due 4 1/2 months after the end of your fiscal year (May 15 for groups that run on a calendar year). Your organization may have difficulty in filing the Form 990N if you have not applied for tax exempt status. You will have to call the IRS Customer Account Services at 1-877-829-5500 and ask to be added to their exempt organizations database so you can begin filing the Form 990Ns. 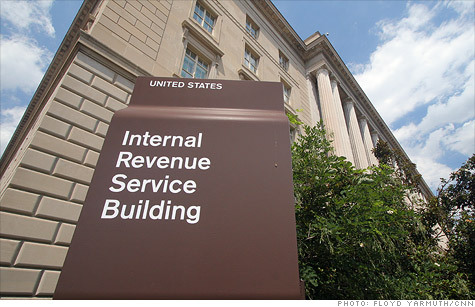 It typically takes 6 weeks to be added to the IRS database. What Happens if Your Organization Doesn’t File the Form 990N? There is no financial penalty for late filing, but failure to file the Form 990N for three consecutive years means automatic revocation of tax exempt status. Lately, I have helped several homeschool organizations that did not file their 990Ns for several years (most did not know about the requirement) and had their tax exempt status automatically revoked. If all this seems confusing or overwhelming, please visit HomeschoolCPA.com. On the blog page, type “990N” into the search box and read the blog posts about this IRS filing requirement. Additionally, my book The IRS and Your Homeschool Organization can give you details on applying for tax exempt status. Carol Topp, CPA is an author, accountant and retired homeschool mom. She is the author of Homeschool Co-ops: How to Start Them, Run Them and Not Burn Out, The IRS and Your Homeschool Organization and Money Management in a Homeschool Organization: A Guide for Treasurers. She shares her experience as a CPA, homeschool mom and co-op treasurer in her books, at homeschool conventions and on her podcast DollarsAndSenseShow.com. Carol offers consulting services to homeschool leaders. Contact her on her website HomeschooCPA.com. Please share! You have permission and are encouraged to share this article in full on your websites, blogs, publications and via email. I do ask that your share the full article (no deletions) and credit me as author, include a link to HomeschoolCPA.com and include my biography at the end of the article. Thank you! Are Homeschool Support Groups Automatically Tax Exempt?